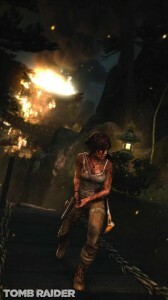 The latest Tomb Raider is fantastic! I have always been partial to third party action adventure games like Drake Unchartered and the latest Tomb Raider is a fantastic addition to the genre. This game tells the origin story of Lara Croft and how she went from being an unsure academic to adventurer extraordinaire. The story is believable and Lara’s character is rich and nuanced. The setting is befitting the story and is extraordinarily rich in detail and history. The game also balances beautifully exploration with action. I just finished it on Xbox 360 on hard mode and felt the difficulty and length were just right. The multiplayer is unremarkable, but it’s not an issue. When it comes to first person shooters I don’t even bother with the campaigns and head straight for multiplayer action. However, here it’s the single player campaign that really shines. All those of you who have been yearning to unleash your inner Indiana Jones should give this game a try!